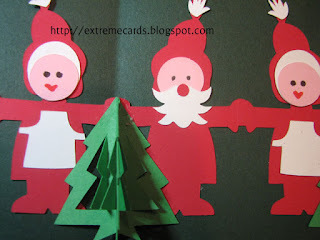 It's easy to make this Christmas pop up card from a string of Santa paper dolls. I got the Santa and Mrs. Santa from this album. I redrew the pieces and simplified many of the shapes. I also added a white hood lining for Mrs. Santa. Cut the pieces from red (shown as light pink), green, yellow, pink, and white paper as shown in the plan below. Score and crease where indicated by red vertical lines. Assemble Santa and Mrs. Santa. I have labeled the pieces on the plan. Your pieces differ slightly from those shown in the photos. 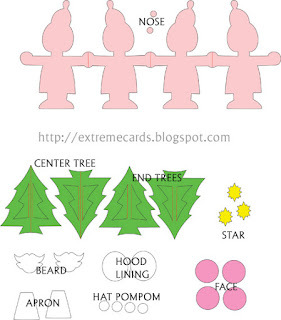 Glue together Mr. Santa: pink face on hood, beard on face, nose on face, pom pom on hat. Draw eyes on the face. 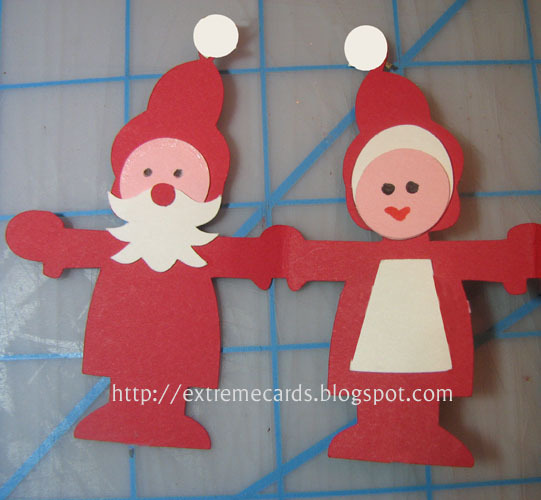 Glue together Mrs. Santa: white hood lining on hood, face on hood lining, apron on body, pom pom on hat. Draw eyes and mouth on face. Cut a card base. Mine is 8.5" x 5.5". Crease in half and open. Lay paper dolls on card, matching center folds. 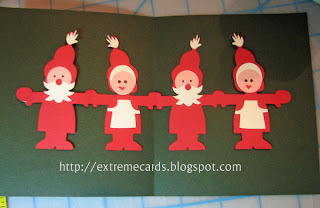 Glue the far right-hand and far left-hand paper doll flat to the card. Assemble center tree. 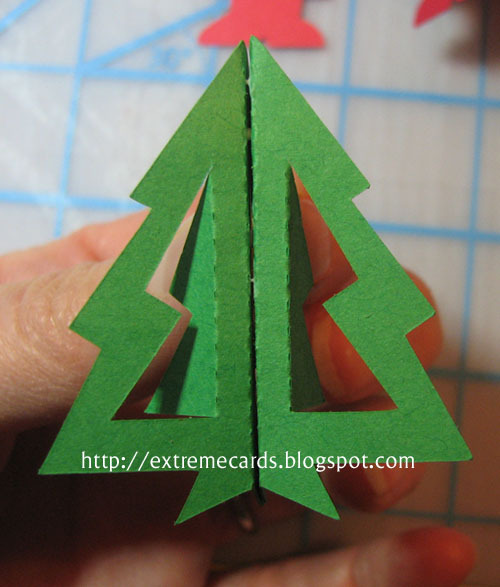 Crease each tree at center. 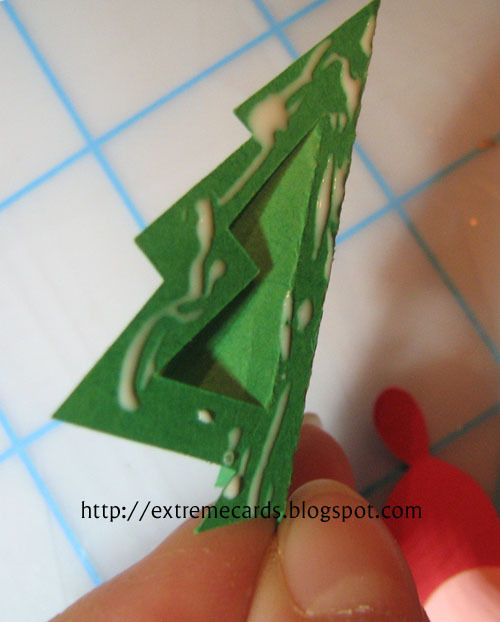 Crease the little branch piece to pop up. Glue two pieces back to back. 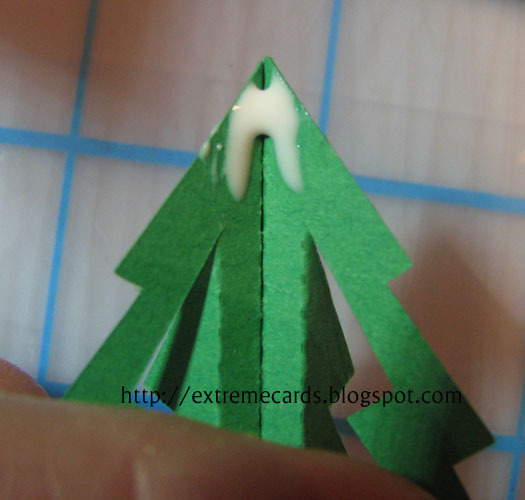 Apply glue just at tip of tree. 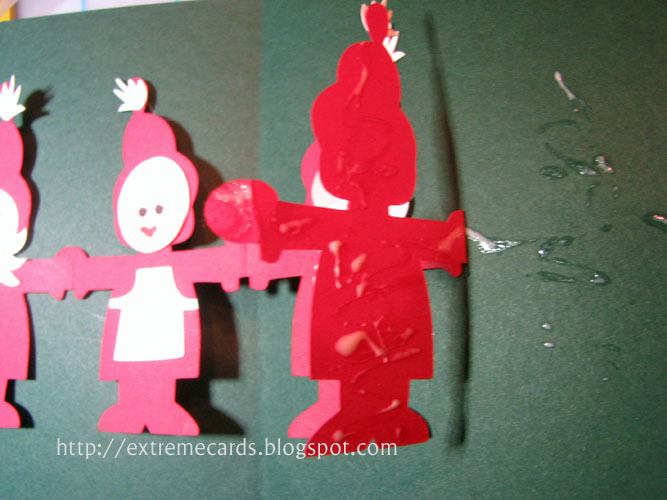 Glue to hands in the center of the paper dolls, matching center creases. Dab a little glue to the back of the tree where it touches the two center paper doll bodies and affix. Pop up branches on side trees and glue trees to hands on each side. Glue stars to the tops of the trees. 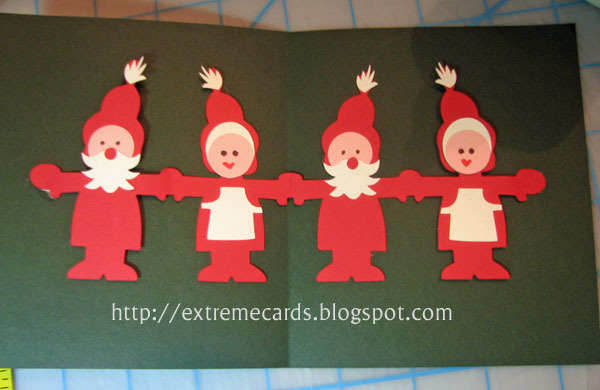 Pop the center two paper dolls away from the center fold of the base card as you close the card. 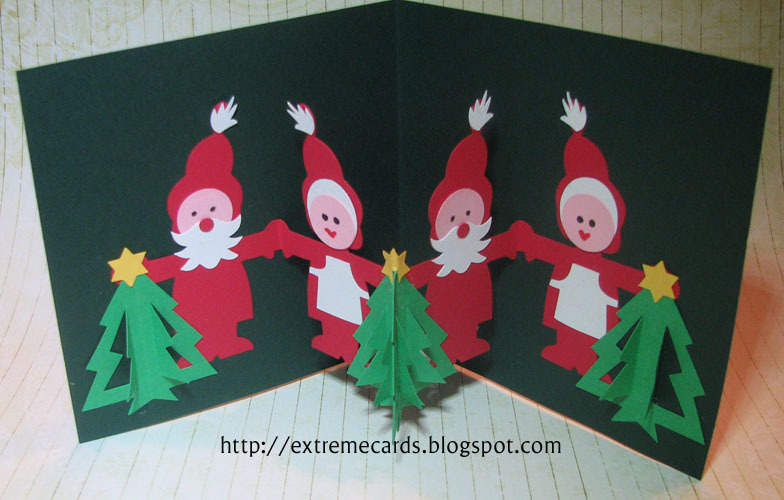 Check out my family Christmas cards from the past 20+ years.